Toronto-based order-ahead app Ritual is running a massive food festival in North York, Toronto starting this week. The ‘$1 Food Festival’ will see almost 40 restaurants participating to give users access to several delicious dishes for just a dollar. It will run from February 11th to 22nd, 2019. 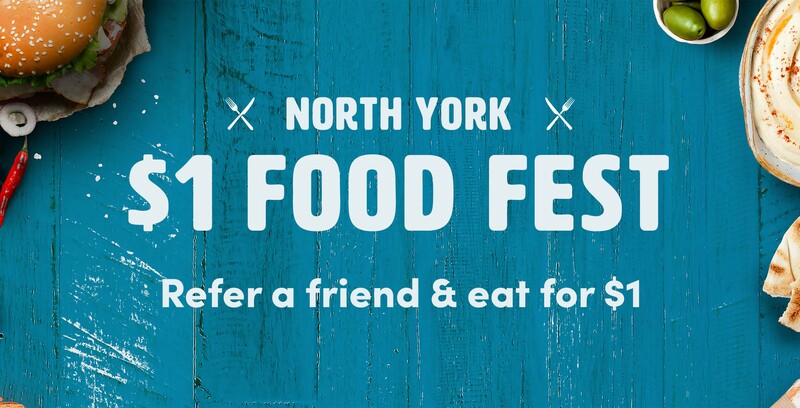 However, the North York food fest has a catch. While new Ritual users can participate in the festival right away, existing users must refer one new person to Ritual to unlock access to the food fest. Once the new user places an order during the festival time period, you’ll have access to the promotion as well. Also on February 11th, Ritual is expanding to Dovercourt and Dufferin Grove area in Toronto. Ritual partnered with close to 20 restaurants in the area to offer $1 dishes as well. Again, customers can order up to five times to a maximum of once per day. This promotion is open new and existing users and runs until the 22nd as well. If you don’t have Ritual, you can get the app for free from here. Update: 02/11/2019 at 10:10am: Corrected a sentence listing the Dovercourt Food Fest as restricted to new users. It’s open to all Ritual users.